A NEIWPCC employee since 2000, Ann-Marie works with the Reserve manager on administrative oversight of grants, contracts, MOUs, state funding sources, contractual and seasonal personnel, internal controls, NYS competitive procurement processes, site stewardship program interagency agreements, and external relations with management partners. She helps manage the Reserve budget and assists staff with accounting and fiscal tracking of program budgets. Ann-Marie holds an M.S. in Environmental Studies from Bard College. Rebecca identifies opportunities to insert Hudson River learning activities into existing units of study in Hudson Valley classrooms. She assists in developing lesson plans and activities that exploit these opportunities, linking them to learning standards and suggested syllabi from the NYS Education Department. Rebecca joined NEIWPCC in 2003. She holds a B.S. in Environmental and Forest Biology from SUNY’s College of Environmental Science and Forestry. Since joining NEIWPCC in 2000, John has worked on developing accurate maps of Hudson River bottom bathymetry and substrate-type benthic habitats from the Battery to the Troy Dam. He is responsible for designing the project, including development of recommendations on overall approach, description of appropriate technology and alternatives, identification of potential partners and funding sources, and development of project specifications to be used in fundraising. John holds a Ph.D. in Geology from Columbia University. Megan joined the NEIWPCC team as an Assistant Environmental Analyst for the Hudson River Estuary Program, Stream Restoration and Conservation, in November of 2015. Megan works to assess road crossings, and to train staff to assess road crossings. She works to assess aquatic barriers, prioritize known barriers for replacement and mitigation work, and shares information on known property barriers. Megan assists in organizing field crews, creates outreach materials to deliver to a municipal audience, and gives presentations on the impact of aquatic and known barriers. Megan has a B.S in Ecology and Evolutionary Biology, as well as B.S. in History, both from the University of Michigan. Dan evaluates the technical, environmental, and economic feasibility of habitat restoration projects on the Hudson River. He is responsible for implementing, facilitating, and administering key aspects of the projects, including development of information bases on restoration sites, provision of technical and logistical assistance with research and monitoring, review of feasibility reports, and facilitation of public participation. A member of NEIWPCC’s staff since 2000, Dan holds an M.S. in Biology from Florida Atlantic University. Susan assists with the management of the estuary grants program. She prepares the grant application and instruction booklet for each grant round, publicizes grant opportunities, coordinates the application review process, prepares contractual documents, and maintains tracking systems for fiscal management and grant completion. She also serves as a point of contact for applicants and grantees. Susan joined NEIWPCC in 2015 after working with grants and contracts for Rensselaer Polytechnic Institute and the Research Foundation of SUNY. She holds an M.A. in Social Policy from Empire State College. Since joining NEIWPCC in 2013, Maude has worked to enhance achievement of New York State’s goals for the Hudson River Estuary through public outreach and communications. She assists in developing materials such as fact sheets, reports, press releases, and e-newsletters that inform the public and key stakeholders about the estuary and opportunities to conserve, restore, and revitalize the Hudson River ecosystem. Maude has a B.A. from Brown University. Zachary joined NEIWPCC in September 2018. He coordinates the Hudson River Environmental Conditions Observing System (HRECOS) program and is the principal point of contact for the observing stations. He manages three hydro-meteorological stations in the capital region and works with the Hudson River Estuary Program team on various watershed projects. Zachary earned an M.S. in Aquatic Entomology from the State University of New York College of Environmental Science and Forestry in Syracuse, New York. Becky manages the contracts and memorandums of understanding, budget, and financial administration of the Hudson River Estuary Program (HREP) and supervises the management of the grants. She assists the program coordinator with coordinating personnel management policies for all contract employees that work for the HREP (NEIWPCC, Cornell Water Resources Institute, and Cornell Department of Natural Resources.) Becky also assists the coordinator of the HREP with project management. Becky joined NEIWPCC in 2002. She holds a B.S. in Management from the Rensselaer Polytechnic Institute. Working both in the laboratory and in the field, Sarah oversees delivery of essential Reserve system-wide programs and conducts DEC marine habitat and Hudson River Estuary Program research and monitoring on topics such as SAV, tidal wetlands, shoreline habitat mapping, and monitoring. She also oversees management of the Norrie Point Environmental Center Laboratory and Reserve field research equipment. A NEIWPCC staff member since 2006, Sarah holds an M.S. in Marine Science from the University of South Carolina. Ben works in both the laboratory and the field, assisting in long-term research and monitoring on Hudson River Estuary habitats, National Estuarine Research Reserveâ€™s System-Wide Monitoring Program, and Sentinel Sites research project. Ben also assists in the operation of a NOAA National Water Level Observation Network tide station. He helps maintain and prepare field equipment, including instrument calibration, equipment repair, vehicle maintenance, and field gear preparation. A NEIWPCC staff member since May of 2016, Ben holds a B.S. in Natural Resource Planning from the University of Vermont. Emilie promotes informed coastal management and decision-making, translates scientific information, builds effective training partnerships, and fosters communication between scientific and coastal management communities. She joined NEIWPCC in 2002, and holds an M.S. in Geology from SUNY Stony Brook. Jim joined NEIWPCC in May of 2016, working part time at the Hudson River National Estuarine Research Reserve. Jim is responsible for the Norrie School and Group Programs, where he schedules and coordinates logistics of field programs that take place at Norrie Point Environmental Center. Jim works on the Canoe programs, educator training and citizen science initiatives, such as the eel project. Jim has an A.S. in Animal Husbandry from Cobleskill AG and Tech. Chris joined NEIWPCC in 2010, and works both in the laboratory and field as he conducts long-term research and monitoring on the Hudson River. His projects involve water quality, atmospheric conditions, submerged plant beds, emergent marshes, and invasive species and nekton. Chris holds a B.S. in Environmental Science from Binghamton University. As an Environmental Analyst Science Educator, Sarah assists the Hudson River National Estuarine Research Reserve in implementing a wide range of education programs including citizen-science projects, distance learning programs, school field programs, public events and canoe tours at the Norrie Point Environmental Center, and other river reserve sites. Sarah joined NEIWPCC in December 2016 and holds an M.S. in Fish and Wildlife Biology and Management from SUNY’s College of Environmental Science and Forestry. A NEIWPCC employee since 2009, Eric assumed the position of Program Manager of the Lake Champlain Basin Program, based in Grand Isle, Vermont. At the LCBP, Eric oversees the staff’s activities and serves as primary liaison to the LCBP Steering Committee. He provides overall program coordination, budget oversight, administration, and short and long term planning for the LCBP and the Champlain Valley National Heritage Partnership. As the Program Director, Eric will promote a holistic approach to restoration and protection of the Lake Champlain watershed, recognizing its environmental, economic, and social significance. Eric holds a Ph.D. in Natural Resources from the University of Vermont. A NEIWPCC staff member since 2002, Jim focuses on facilitating cooperation between Vermont, New York, and Quebec on efforts that improve appreciation of the natural and cultural resources of Lake Champlain. 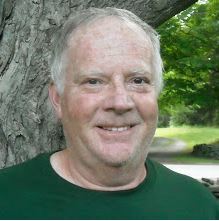 His work includes coordination of the Champlain Valley National Heritage Partnership, scenic byways and bike trails, the American Civil War Sesquicentennial, the bicentennial of the War of 1812, and the general development of interpretive exhibits. Jim holds a B.A. in Journalism and American History from the University of Connecticut. Colleen has been conducting outreach programs within the Lake Champlain watershed in northern New York, Vermont, and southern Quebec since 1991. She focuses on media outreach, school programs, educator training, and public outreach programs pertaining to the watershed. Colleen joined NEIWPCC in 1993. She holds an M.A. in Urban and Environmental Policy from Tufts University. Laura works with the LCBP’s Education and Outreach team, primarily in the Lake Champlain Resource Room at the ECHO Lake Aquarium and Science Center in Burlington, Vt. She works with the public and with schools, answering questions, creating exhibits, and presenting educational programs. Laura, who joined NEIWPCC in 2003, holds a B.A. in Environmental Studies and Political Science from the University of Vermont. Since joining the LCBP and NEIWPCC in 1993, Kathy has managed office operations, tracked office expenses and project budgets, maintained local grant and accounting records, and responded to public requests for information. She also provides overall administrative support to staff. Kathy holds an associate degree from Champlain College. As an Environmental Analyst working in the Lake Champlain Basin Program, Lauren works closely with the Program Director, Education and Outreach Team, Technical Team, and the Cultural Heritage Coordinator. She represents LCBP at outreach events, conferences, and workshops and conducts research on LCBP mission-related topics. In addition, she assists with the Healthy Soils – Raise the Blade campaign by working with campaign partners to present information, developing campaign materials, and staffing outreach events on behalf of the Health Soils partnership. Lauren joined NEIWPCC in March 2019. She holds a B.S. in Environmental Studies from University of Vermont. As a technical team member, Ellen assists in facilitating research and implementation projects that address challenges facing water resources in the Lake Champlain Basin. She reviews and approves LCBP-related Quality Assurance Project Plans that ensure high quality environmental data and supports projects that address nutrient reduction, flood resilience, aquatic invasive species, and stormwater management issues. Ellen joined NEIWPCC in March 2017. She earned a M.S. in Environmental Studies from the University of Wisconsin-Madison. Stephanie has been working as a Lake Champlain Basin Program Resource Room specialist since the opening of ECHO at the Leahy Center in 2003. She answers questions on all aspects of Lake Champlain, including aquatic nuisance species, lake friendly cleaning products, and historical events. Stephanie joined NEIWPCC in 2003. She holds an M.E. in Curriculum and Instruction for Grades 7-12 from the University of Colorado. Based in New York State DEC’s Ray Brook office, Myra plays an important role in implementing LCBP’s efforts to reduce agricultural runoff in the New York portion of the basin. A certified crop advisor and comprehensive nutrient management planner, Myra worked as an agronomist in New York for fifteen years prior to joining NEIWPCC’s staff in 2012. She holds an A.S. in Agronomy from Purdue University. A member of NEIWPCC’s staff since 2012, Elizabeth works on LCBP efforts designed to promote a better understanding of the Basin. Her past experience includes work in interior and graphic design for firms in Montreal and Miami. She holds a Diplôme d’Étude Collégiale in Human Sciences from Dawson College in Montreal. Ryan coordinates content development, editing, and graphic design for LCBP publications, websites, and exhibits, and assists with education and outreach programs. Before joining NEIWPCC in 2011, he worked in environmental permitting at the Port Authority of New York and New Jersey, developed publications at Earthwatch Institute, and conducted education and outreach at the U.S. Forest Service and Oregon Geographic Alliance. Ryan holds an M.S. in Geography from Portland State University. A NEIWPCC employee since 2003, Meg coordinates management efforts to prevent the introduction and spread of aquatic invasive species (AIS) in the basin. Her work has included the development of a Lake Champlain Basin Aquatic Nuisance Species Rapid Response Action Plan, implementation of the Lake Champlain Basin Aquatic Nuisance Species Management Plan, supervision of the Lake Champlain Boat Launch Steward Program, and working with local and regional partners on AIS education and outreach campaigns. Meg holds a B.A. in Environmental Studies and Geology and an M.A. in Public Administration from the University of Vermont. Since joining NEIWPCC in 2004, Cynthia has been assisting visitors to the LCBP Resource Room at the ECHO Lake Aquarium and Science Center. She answers questions about water quality issues, gives presentations to school groups, develops educational displays, and organizes the Resource Room’s publications collection. Cynthia spent her early career as an educator with the National Park Service and New Found Harbor Marine Institute, and served as a library paraprofessional at Yale University and St. Michael’s College. She holds a B.A. in Biology from Guilford College in Greensboro, N.C. Although based at Vermont DEC in Montpelier, Pete is a key part of the LCBP team. His responsibilities include monitoring Lake Champlain and its tributaries, collecting and analyzing aquatic samples to determine water quality, and preparing comprehensive water quality study reports. Development of the reports involves aquatic sampling and analysis, transcription and interpretation of data, compilation of material, and formation of recommendations. Pete joined NEIWPCC in 1996. He holds a B.A. in Environmental Studies from Johnson State College. Matthew joined NEIWPCC and the LCBP in November of 2016. He is the primary staff support for the Technical Advisory Committee (TAC) and serves as the liaison with technical staff working on basin issues in agencies at the local, state, and federal level. Matthew develops technical analyses and reports for the LCBP Steering Committee and the TAC and coordinates, oversees, and provides expert input for the technical review of proposed implementation projects. Matthew currently holds a master’s degree in Hydrologic Sciences from the University of California, Davis, and is working on completing his PhD in Natural Resources and Watershed Science from the University of Vermont. As an Assistant Environmental Analyst for the Maine DHHS Drinking Water Program, Peter works with the Information Management Team to provide support to the program’s Compliance and Enforcement Team. He helps with instruction, guidance and review of completed work to assure accuracy and adherence to requirements and policy. Peter joined NEIWPCC in January of 2016. Ellen works with the Data Management and Program Support Team providing data entry, research, and analysis. As a Data Specialist, she adds and maintains inventory data in the Maine Drinking Water Program’s database and provides quality control in the document management system. In addition, she assists data management staff with monthly public water systems sampling compliance. Ellen joined NEIWPCC in October 2018. She holds a bachelor’s degree in human services from New Hampshire College (now Southern New Hampshire University). A NEIWPCC employee since 2009, Martha works with the Maine DHHS Drinking Water Program’s Information Management Team to provide technical support to the program’s Compliance and Enforcement Team. Martha holds an A.A.S. in Business Administration and Management from Central Maine Technical College. Christina joined NEIWPCC in June 2017 and is responsible for determining public water system compliance with the state of Maine and federal safe drinking water regulations. She assures that compliance monitoring schedules are entered and maintained in the Safe Drinking Water Information System (SDWIS) database and that they are correct, complete, and consistent with rules regulating public water systems. As a Rule Specialist, she also communicates regulatory requirements to staff and public water systems through training and direct meetings. Christina holds a B.S. in Environmental Science from the University of Southern Maine. David assists Maine DHHS Drinking Water Program staff in meeting requirements under the Public Water Supply Supervision program, the Drinking Water State Revolving Fund program, and other areas as required by amendments to the Safe Drinking Water Act. David, who joined NEIWPCC in 2009, holds a B.S. in Secondary Education and Mathematics from the University of Maine at Farmington. Helen started working for MassDEP, known then as the Massachusetts Department of Environmental Quality Engineering, in 1988. She joined NEIWPCC in 2014. She is the first point of contact for the Bureau of Resource Protection’s Drinking Water Program. Helen reviews and analyzes data, and prepares reports. In addition, she ensures that the program’s electronic records are current, organized, and accessible. Helen has a B.A. in Russian Language. Bob provides support to the MassDEP Drinking Water Program for the development and implementation of various Safe Drinking Water Act programs, with a primary focus on assisting public water systems with the Revised Total Coliform Rule. He provides technical assistance, performs inspections, reviews reports, and conducts training. Bob re-joined NEIWPCC in 2018. He has spent his career in the drinking water and water treatment field, and previously served as the water filtration plant manager for the city of Worcester. Barry provides support to the MassDEP Drinking Water Program for the development and implementation of various Safe Drinking Water Act programs, with a primary focus on assisting public water systems with the Revised Total Coliform Rule. He provides technical assistance, performs inspections, reviews reports, and conducts training. Barry joined NEIWPCC in 2015. He has over 45 years of experience working with water systems, and previously served as water superintendent for the Buzzards Bay Water District in Southeastern Massachusetts. Ashley oversees the conduct of investigations on matters such as source water assessment and protection, water storage, treatment and distribution, wastewater treatment and discharge, point-source and non-point source pollution, permitting, and other compliance and regulatory issues. She supervises central office and regional staff charged with developing source water protection plans, updating Source Water Assessment Plans (SWAPs), collecting environmental samples for analysis, and summarizing, evaluating, and presenting environmental information and data. She also develops guidance and training for local municipalities, governmental and non-governmental agencies, and local health departments (LHDs) on source water protection strategies and implementation. Ashley joined NEIWPCC in March 2019. She holds an M.S. in Environmental Science and Policy from Plymouth State University. Mike began his NEIWPCC career in August 2018 in the NYSDEC Source Water Protection Program. In his current role as a Drinking Water Specialist at NYSDOH, Mike works to implement various source water and drinking water assessment, protection, sampling and treatment programs which includes support to public water systems and local municipalities for developing local Source Water Protection Plans and updates to existing Source Water Assessments. He coordinates directly with regional NEIWPCC staff based in NYSDOH Regional Offices and provides technical assistance to water suppliers, regional environmental health staff, and local health department staff on source water protection strategy implementation, and water sample collection and analytical testing for physical, biological, radiological and chemical contaminants. Mike holds a Master of Public Health in Environmental Health Sciences from the University at Albany, State University of New York. Joshua reviews and prioritizes existing Source Water Assessment Program (SWAP) reports for Nassau and Suffolk counties on Long Island by coordinating with New York State Department of Environmental Conservation (NYSDEC) and other state and local agencies. He identifies potential contamination threats from geothermal systems, Hazardous Waste Remediation sites, inactive landfills, petroleum spill sites, industrial and commercial facilities, solid waste facilities, and areas with 1,4-dioxane and PFC contamination. In addition, he updates water supply information including current pumpage rates, treatment facilities, and contamination data. Joshua joined NEIWPCC in January 2019. He earned his Bachelor of Science in Geology from Stony Brook University. Carolyn serves as a State Pollutant Discharge Elimination System (SPDES) Permit Writer. Applying knowledge of the Clean Water Act, Carolyn works on municipal and/or industrial wastewater discharge SPDES permit renewals/reviews within Source Water Protection areas to ensure SPDES permits are up-to-date and include effluent limitations necessary to protect public water supplies. In addition, she establishes relationships and communicates with federal, state and local government agencies, engineering firms, various non-governmental groups, and the public on permit issues. Carolyn joined NEIWPCC in September 2018 and earned her B.A. in Environmental Science from Skidmore College and a GIS certificate from Pace University. As an environmental analyst in the Lake Monitoring Assessment Section (LMAS) of the Division of Water, Matthew conducts activities related to the Lake Classification and Inventory (LCI) survey, the New York Citizens Statewide Lake Assessment Program (CSLAP), and the New York Harmful Algal Bloom (HAB) program. His duties include preparing for the start of the lake sampling field season and completing sampling for the LCI, CSLAP and HABs programs. He conducts database work in support of these sampling activities and assists LMAS and Bureau of Water Assessment and Management (BWAM) staff through data analysis, GIS mapping, and database outputs. Matthew joined NEIWPCC in February 2019. He earned his M.S. in Geology from the University of Vermont. Erik began his NEIWPCC career in 2004 working with NYSDEC on database management, web content coordination, and GIS work. In his new role, Erik is working in the Water Resource Protection Division within the NYSDEC – Division of Water, Bureau of Water Permits serving as a State Pollutant Discharge Elimination System (SPDES) Permit writer. Erik began his new position in August 2018 working within Source Water Protection areas to ensure SPDES permits are up-to-date and include effluent limitations necessary to protect public water supplies and oversees progress in permit development to ensure annual goals are achieved. Erik holds an M.B.A. from the Rensselaer Polytechnic Institute. Charles joined NEIWPCC in September 2018 and assists in the water quality monitoring and assessment of source waters in NYS streams and rivers in the Stream Monitoring and Assessment Section (SMAS) at NYSDEC. Charles helps ensure source water priority water bodies are targeted for monitoring and assessment by coordinating between the DOW’s Source Water Protection Program (SWPP) and SMAS. This includes assisting in the monitoring and assessment of SWPP priority waterbodies, implemented through the DOW SMAS Rotating Integrated Basin Studies (RIBS) program. In addition, Charles also supports all elements of the work of SMAS programs which includes water chemistry sampling and biological monitoring of streams and rivers, collection of field observation data, laboratory sample processing, database development, database maintenance, data analysis, and reporting. Charles holds a B.A. in Geography and a GIS Certification from Keene State College. Catherine serves as a State Pollutant Discharge Elimination System (SPDES) Permit Writer. Applying knowledge of the Clean Water Act, Catherine works on municipal and/or industrial wastewater discharge SPDES permit renewals/reviews within Source Water Protection areas to ensure SPDES permits are up-to-date and include effluent limitations necessary to protect public water supplies. In addition, she establishes relationships and communicates with federal, state and local government agencies, engineering firms, various non-governmental groups, and the public on permit issues. Catherine joined NEIWPCC in September 2018 and earned her M.S. in Water Science and Policy from University of Delaware.